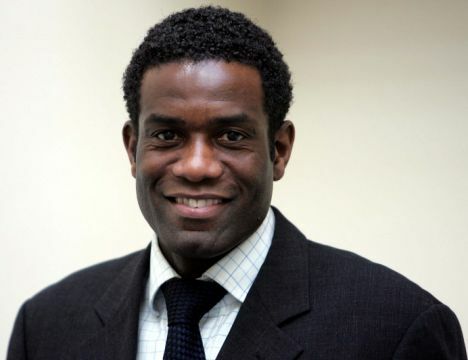 Former ITV pundit Robbie Earle, who was sacked by the station yesterday for selling his complimentary press tickets to a Dutch marketing agency, now looks set to be stripped of his ambassadorial role in England’s bid for the 2018 World Cup. Earle was found to have passed his free press tickets (intended for friends and family) on to a Dutch beer company, which were in turn used to gain access to the ground during Holland’s World Cup tie with Denmark to perform an ‘ambush marketing’ ploy involving 36 delectable young fillies decked in an Oranje dress bearing the brewery’s logo. It is now understood that Earle’s profile has now been removed from the official ‘England 2018’ website and, subject to an FA investigation, the former Wimbledon player will be dropped from the list of official campaign ambassadors. 2 red cards already and there’s still 6 months to go. LOL. 2018 World Cup USA! !